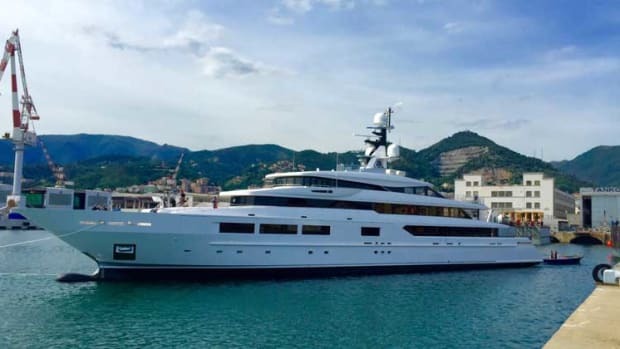 Tankoa Shipyard has announced a successful launch of the 236-foot (72-meter) M/Y Solo. The second yacht built on Tankoa’s 70/72-meter technical platform, Solo, sold in September 2016 to a repeat European client, has launched, with delivery on track for mid-November, 2018. 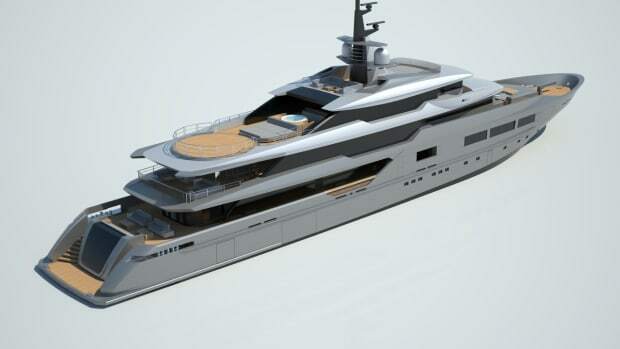 Designed by Francesco Paszkowski, Solo will make her international debut at September&apos;s Monaco Yacht Show. “We are truly proud to have developed such a trustful relationship with such a knowledgeable owner," said Tankoa CEO Euro Contenti. 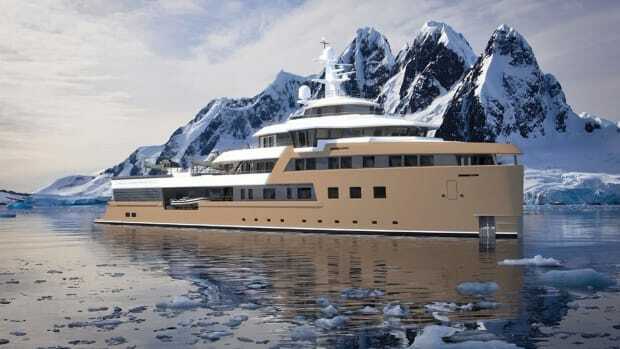 Scene from the launch of Tankoa&apos;s 72-meter Solo. 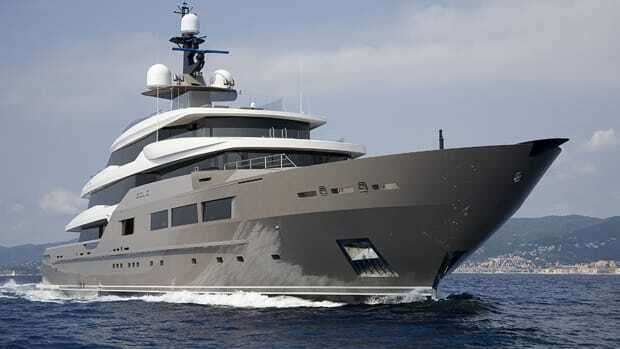 While reminiscent of the 69-meter Tankoa Suerte, Solo is 3 meters longer, with a volume of approximately 1,600 gross tons. 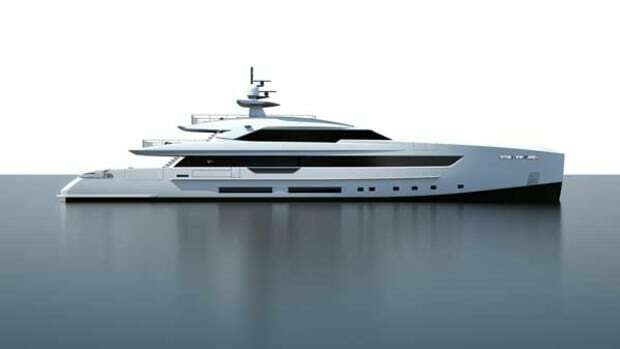 Other unique features include catalytic underwater exhausts allowing for substantial gains of volume on all decks, and smell-free and smoke-free outside decks; a larger winter garden; larger aft deck with 6-meter transversal glass pool, low-profile glass bulwark sections for unobstructed sea views and a wide-body upper deck allowing for an oversized panoramic salon. The longer waterline also allows for a top speed in excess of 17 knots and reduced fuel consumption. 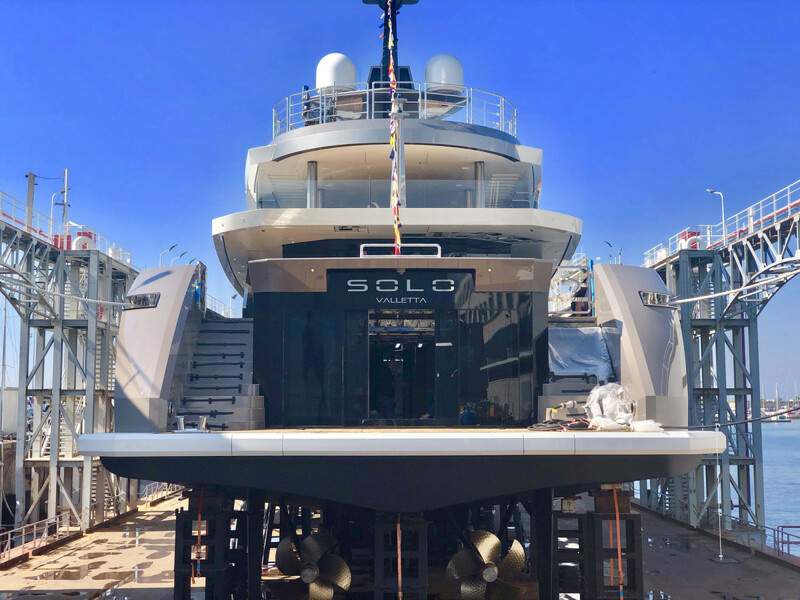 Solo has accommodations for 12 in six cabins, including a master suite on the private owner&apos;s deck, a VIP suite and four doubles, two of which are convertible into twins. In addition, the hairdressing/massage room and the owner’s study can also be converted into additional cabins as they are both equipped with an ensuite bathroom. The VIP and guest cabins are all on the main deck with ocean views through large windows. 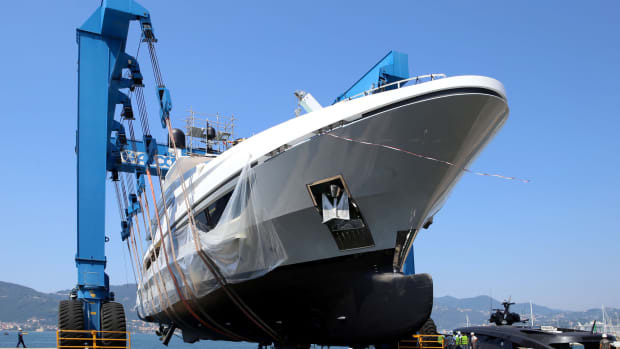 The entire boat is outfitted with the latest collection by Fendi Casa. The spacious beach club, a key feature onboard Solo, is equipped with sofas, a bar, a TV, a glass-walled gym by Technogym with fold-out terrace, a bathroom, and it is directly linked to the spa room, which includes a sauna also fitted with its own fold-out terrace for a post-sauna plunge into the ocean, a hammam and a chilled-water shower. The upper deck houses the paperless semi-integrated Boëning wheelhouse with radio room, captain’s cabin, and hair dressing/massage room. 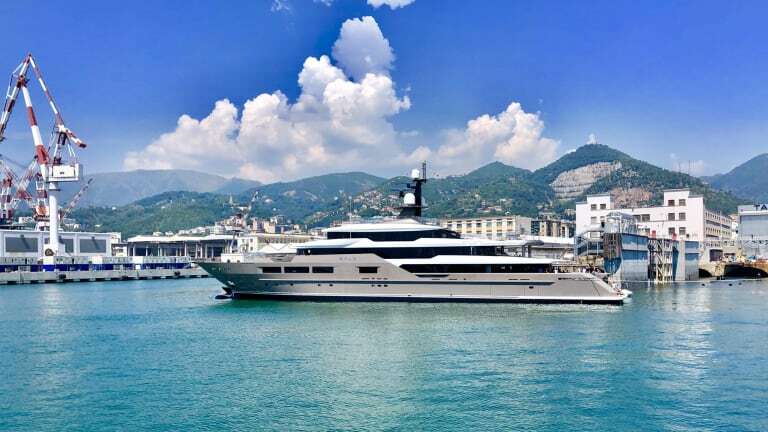 The upper deck aft features an observation lounge/salon with almost floor-to-ceiling windows, a 90-inch 4K QLED TV screen, a baby grand piano, a bar and ethanol-encapsulated fireplace. 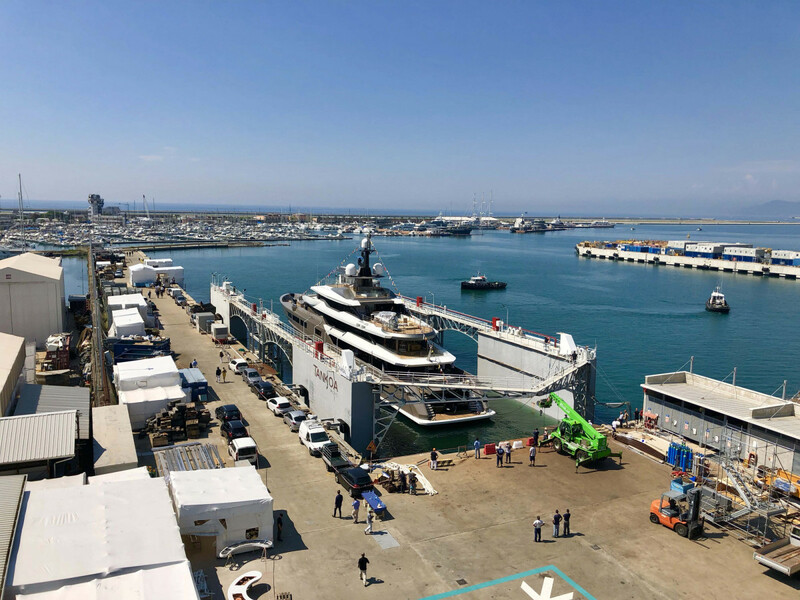 The wide-body fully private owner’s deck has direct access from the touch-and-go helideck aft (rated at 4.5 tons for an Augusta 109 or most twin turbine helicopters). Its exterior deck is equipped with its own Jacuzzi, bar, salon, breakfast corner and day head with shower. 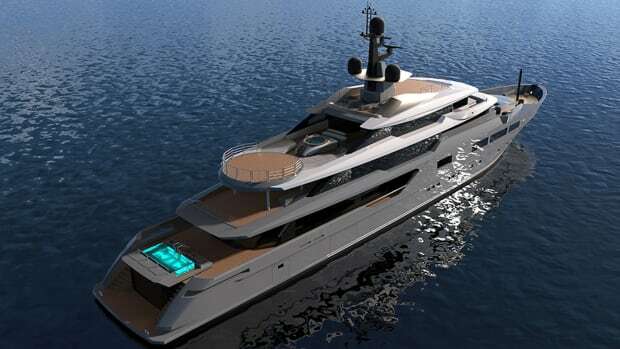 A stairwell leads to the sundeck, with its shower hidden into the mast, salon and sun pads. The owner’s apartment features an owner’s study/media room. The island bed is surrounded by full-height windows with 180-degree views with direct access to two intimate side exterior shaded sunpads and Bisazza mosaic tiled glass walled Jacuzzi. 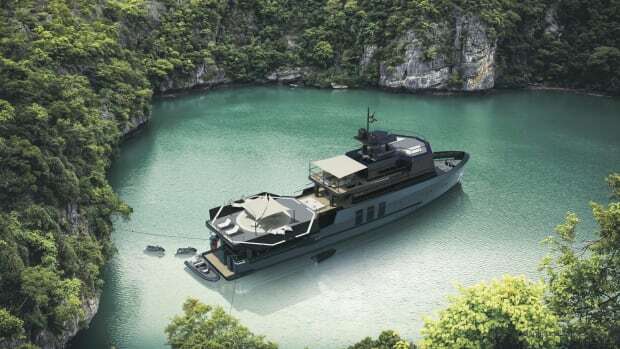 Tender and toy storage is divided between the foredeck and a twin side-loading garage, providing room for two 7.5-meter tenders, PWC and water toys. 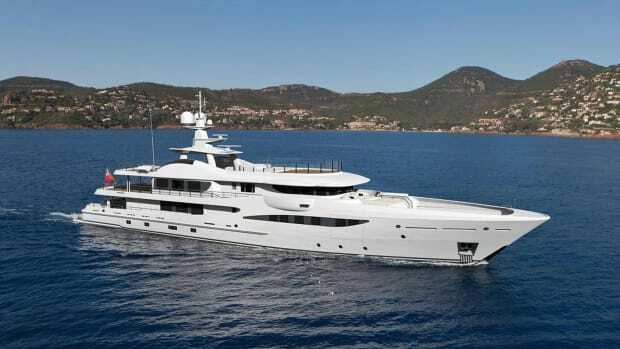 The crew deck is devoted to laundry room, pump room, storage, additional fridge and freezer, garbage treatment plant, technical spaces and direct access to the split-level engine room.